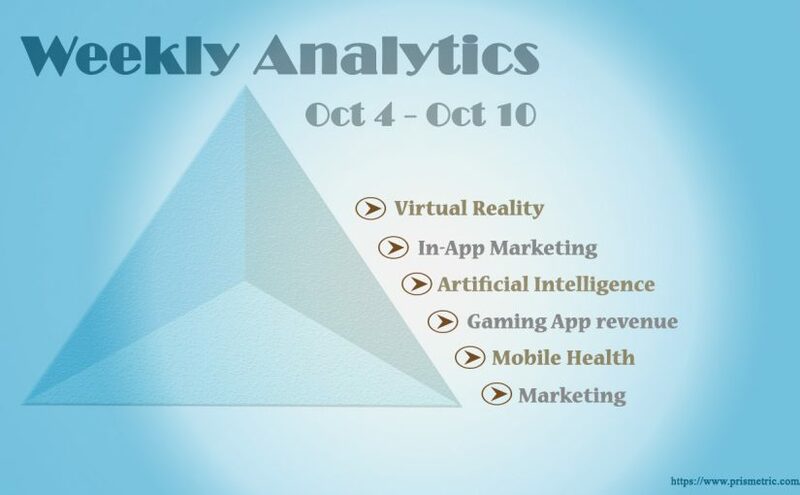 Prismetric’s weekly analysis to keep up with the evolving trends & news from Marketing, AI, Gaming app revenue, VR, In-App Marketing, Mobile Health & more. 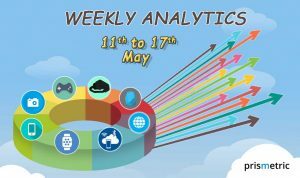 The first week of October has been really exciting in the world of mobile technology with all the big names making their best to make a mark with innovative technology. This past week, Apple’s much talked about iPhone 7 reached the Indian shores finally ending the prolonged wait of about a month. 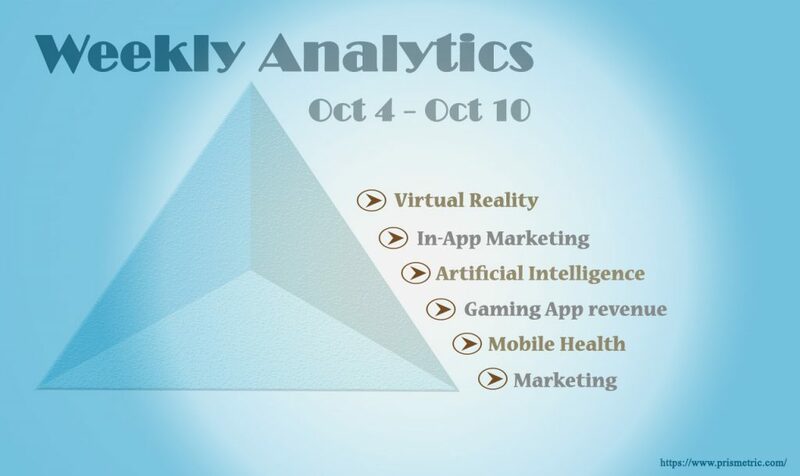 Apart from this virtual reality, In-App marketing, Mobile health, Artificial Intelligence, Game app revenue and Marketing made it to the top stories of the week. Facebook has also taken some serious steps in the direction of virtual reality and has tested a standalone headset that will not rely on a PC or a mobile phone or any other device. The VR headset would be one of its kinds of a prototype. 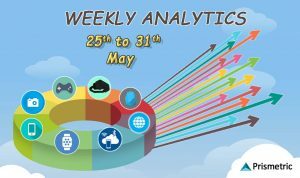 The past week has been power packed with all the vital ingredients needed to turn heads and every story that we have bought for you is a showstopper in itself. Also, there have been some notable technical advancement in the mobile world that needs to be looking in to. Taking the importance of emoji’s and facial expressions into consideration, Facebook has introduced Virtual Reality Emoji’s as it will help the users to convey their emotions in a better manner. Emoji are a perfect medium for clarifying and toning up our emotions as while texting the physical cues lose their tone. Therefore, VR in emojis will be the language that will strike balance between the explanation and the expression we want to send during our conversation. FB plans to develop a new vocabulary to get the conversations. The technosocial phenomena i.e. amalgamating marketing with technology has taken the essence of mobile marketing to a whole new level. In-App marketing has been superb in that because it considered revolutionary as the range and reach of smartphones seem unparallel these days. They help in brand building as they can cohesively connect with the customers and take the social presence of your product to new horizons. Artificial Intelligence is the buzzword and many technology giants are racing to infuse it to their smartphones in order to provide an unforeseen and seamless mobile experience to their customers. This evolution will make the mobile devices to interact with the Internet-linked devices and software easily and can create a world in which everyone can have a virtual aide. The global app market is predicated to generate almost 45 billion of revenue this year and more than 80% of that will come from the mobile games. The statistics provided by the top market researchers show that, the game app revenue will grow to $58 billion dollars approximately in 4 years time i.e. by the year 2020. With the usage of smartphones increased more than ever before, companies nowadays bank heavily upon the mobile apps especially gaming apps to promote their business. The social media integration and word of mouth publicity also adds fuels and makes the mobile games a bankable option to rely upon. We all know that smartphones and mobile technology are a ubiquity nowadays. As they have made their presence felt in almost every field, health care cannot be left out. In fact, research show that almost all the healthcare professionals believe that mobile technology will be the future in providing apt and fast medical assistance to the coming generations. 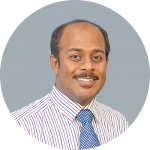 With GPS, Wi-Fi and other technologies, Mobile phones can help health care services to reach even the remotest part and can coordinate various services easily. Modern age marketers should understand that buyers nowadays have a plethora of choices and they will only prefer the things that are feasible to their likings. So it’s important to not to be at the face of the customer every time. Have a defined and well planned email conversation with your customers as it can help in increasing the conversion rate insanely. It is also noteworthy to have a marketing strategy integrated with digital technology so that you can reachout to the customer through different means to engage with your brand.